I have a confession. I’m not only in love with succulents, I’m having some fun with air plants too! All of these plants make me happy. 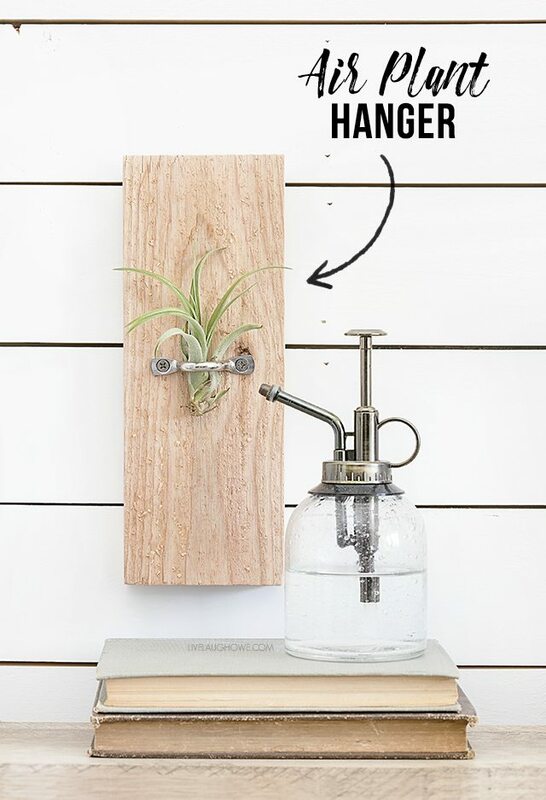 This simple DIY Air Plant Hanger contributes to that happiness too. Have you ever owned an air plant? Well, I never even heard of them until last year… I attended the Haven Conference in Atlanta, GA and was invited to a Porch Pie Social. They gave all of the attendees a HUGE swag bag and one of the items included was an air plant. Hmmm. I remembered thinking, What is this? I was intrigued. I still have that itty bitty plant and have bought a couple more since! 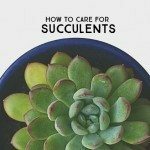 They’re just as easy to care for as succulents! Score. The one I received last year came with a little shell that it sits in. The others I’ve purchased didn’t come with anything, sooooo I remembered seeing a clever air plant hanger at a Vintage Market Days a few years ago and decided to make one! 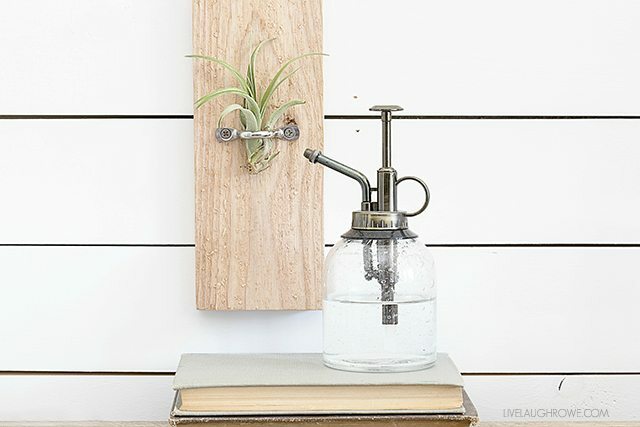 This DIY Air Plant Hanger is quite possibly one of the easiest projects you could do. Ready? 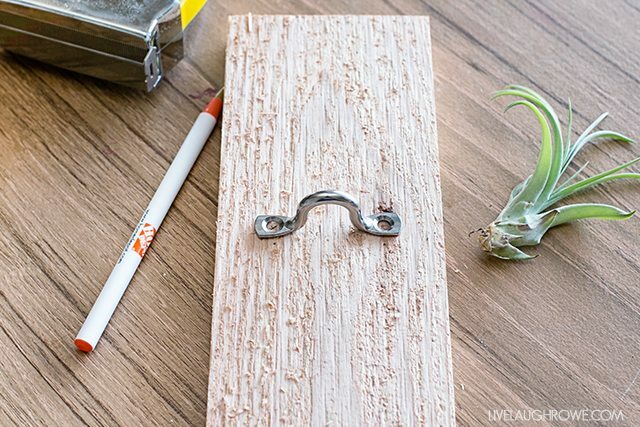 Start by cutting a piece of wood to the approximate size that you’re looking for. 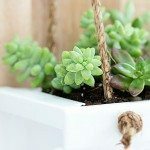 I happened to find this scrap of wood from my Rustic Hanging Gutter Planter — and it was perfectly sized! Next, you’ll measure where you want to place the rope loop. I centered mine from side to side and placed the air plant into the loop to establish where I wanted to place it in height. Mark your holes for the screws with a pen or pencil. 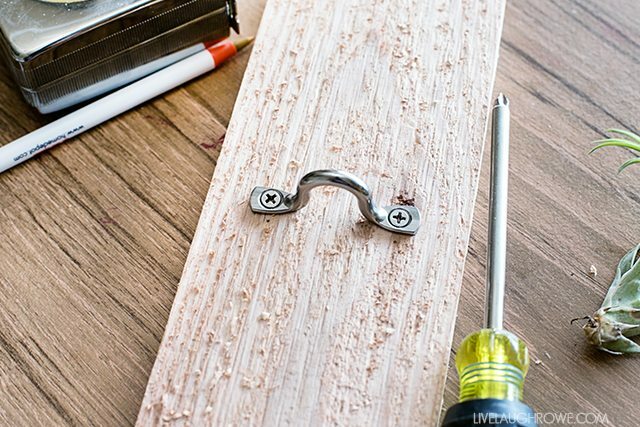 Using your screwdriver, attach the rope loop to the wood. That’s it’! The only thing left to do is add a sawtooth hanger or a d-ring picture hanger. 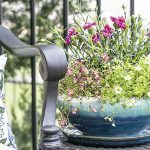 Hang in a pot with moderate light and your ready to roll. Air plants thrive on light and air circulation. Ready to buy some of your own? These air plants or this 5 pack of air plants is a great starter kit — maybe gift a couple to friends and start your air plant adventures together! Love this! I have never heard of air plants – perhaps one I can actually keep alive! Thanks for sharing. Neelam…you must get an air plant if you haven’t already. 🙂 They are great and so low in maintenance. xo. 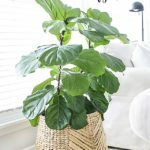 Where in the world did you find this amazing plant mister?! I love it! Hi Jessica! I picked up that little air plant at Home Depot 😉 Cheers!